Make it Up in Your Favorite Colors! 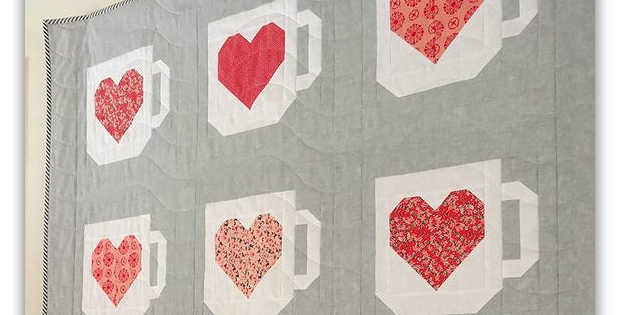 This fun quilt celebrates your favorite hot beverage, whether it be coffee, hot chocolate or something else. 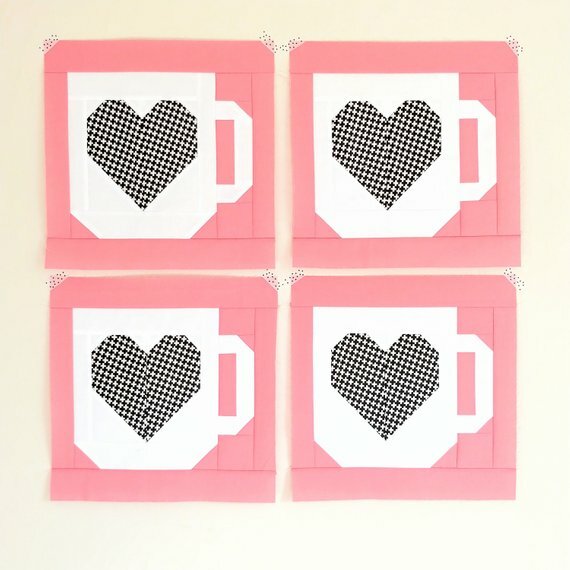 The mug blocks with hearts are simply charming and will be wonderful in your favorite colors. Make a crib quilt, a throw or add more blocks for a larger quilt. Or, combine a few blocks for a table topper, runner or wall quilt. Even one block will be lovely finished into a mini quilt. 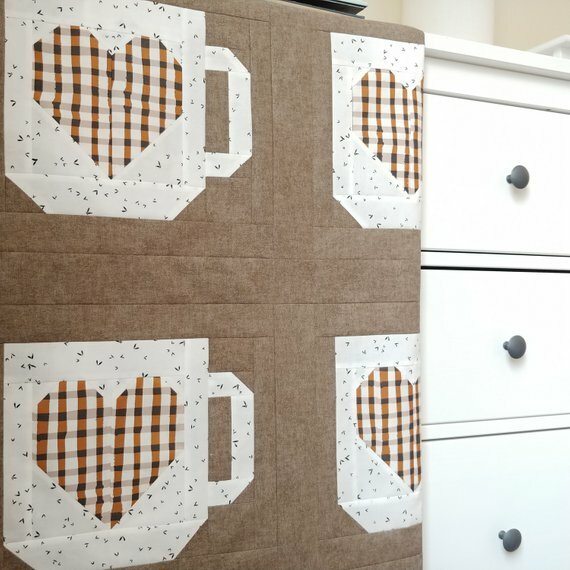 The blocks are simple to make using standard piecing. This is an easy project even for beginners. 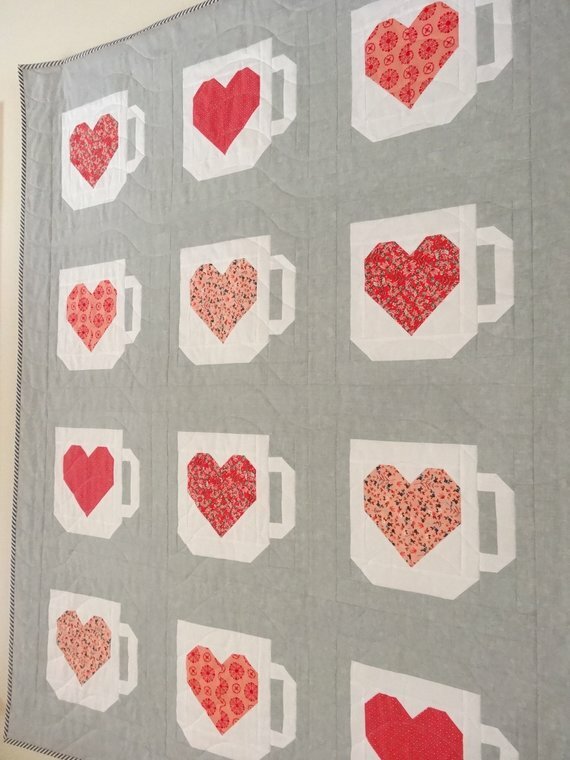 Click here to purchase the “A Little Break” quilt pattern.